Pope Benedict XVI's homily from today's Feast of Saint Peter and Saint Paul is discussed in this Asia News article. 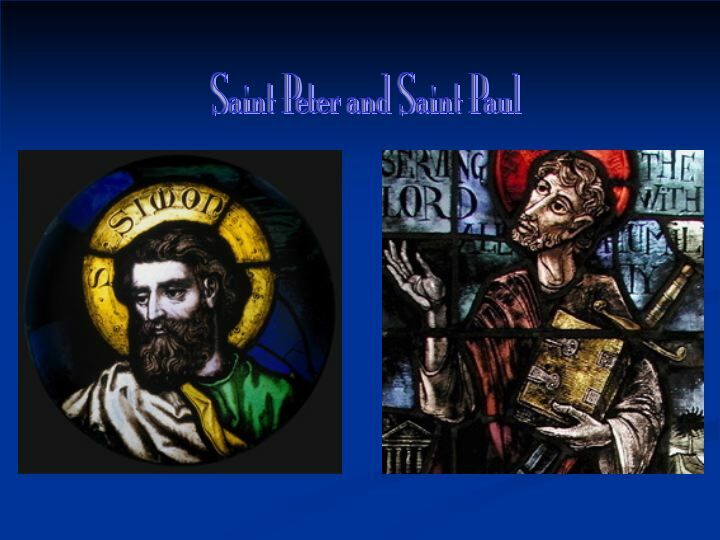 Both the homily and the Angelus focused on the primacy of St. Peter and the three Gospel passages that draw attention to him, emphasizing St. Peter's role of service rather than the more divisive issue of his power. A transcript of the homily in English is available from Teresa Benedetta at Papa Ratzinger Forum (scroll down below several earlier homilies). Sandro Magister has the complete text at Chiesa: Espresso on Line, and here is the Vatican translation. ZENIT also posted the full text of the Holy See's translation here. "Ever anew, the small boat of the Church is assailed by the winds of ideology, taking in so much water that it seems doomed to sink. "Nevertheless, it is precisely in the suffering Church that Christ is victorious. Notwithstanding everything, faith in Him is always renewed and reinforced. Even today the Lord commands the waters and shows Himself Lord of the elements. He remains in the boat that is the Church. "Thus even the ministry of Peter shows not only the weakness of that which is purely human but also the power of God. The Lord manifests His power precisely in the weakness of men, demonstrating that it is He himself who is constructing His Church made up of men with all their weaknesses." The Angelus message is here from Teresa Benedetta at Papa Ratzinger Forum (again scroll down). ZENIT Angelus address translation here. Pictures: St. Peter, stained glass window by Franz Mayer & Co. in Saint Joseph’s University Collection (formerly in St. Elizabeth's Church, 1872-1993) and St. Paul, stained glass window made in 1949 from Rambusch Decorating Co., principal artist Joep Nicolas in St. Joseph University's Stained-Glass Collection (formerly in Resurrection of Our Lord Church, Chester, 1911-1993), from the book Stained Glass in Catholic Philadelphia, ed. Jean Farnsworth, Carmen R. Croce and Joseph F. Chorpenning, O.S.F.S.,book available for order online from St. Joseph University.